Because of the prevalence of leasing for many companies, FASB and IASB have amended accounting guidance (ASC 842) to provide more reporting on lease transactions. The new accounting standards require organizations to recognize all lease obligations (over 12-months) on their balance sheets, to ensure greater transparency in financial reporting. Companies will need to begin monitoring the potential effect of these changes on their debt-to-capital ratio and related debt covenants. Regulations take effect in 2019 and 2020, but back reporting begins in 2017 (for public companies) and 2018 (for private, non-profit and government organizations), so time is short to understand and manage implementation. This change is an opportunity to better manage accounts payable for leases and communicate to the market a mastery of good financial governance. Missteps in managing this change can result in loan covenant defaults, souring investor sentiment and/or failure to meet benchmarks. Leasing is an important activity for gaining access to assets, obtaining financing, and limiting risk. But it has also been an opportunity to remove debt from a balance sheet and bury obligations within footnotes of quarterly reports. On February 25, 2016, the Financial Accounting Standards Board (FASB) officially released its long-awaited lease accounting standard, which now requires companies to report most leases on their balance sheets and puts an end to the off-balance-sheet reporting of assets and liabilities. This represents a unique opportunity to uncover inaccurate accounting of operating expenses within lease agreements, measure better than peers against benchmarks and optimize obligations going forward in this new accounting environment. A Hole Big Enough to Hide a Mountain. The 2015 accounting models for leases require companies who lease an asset for their own use (Tenants) and companies who lease a property out in exchange for money (Landlords) to classify their leases as either capital leases or operating leases and to account for those leases differently. Those models have been criticized for failing to disclose the full extent of obligations to those who review financial statements. Based on 2014 public company filings, FASB found over $1 trillion in undiscounted lease obligations that were relegated to the footnotes of financial statements. As a result, there has been a widespread request from users of financial statements and stakeholders (investors, lenders, the Securities and Exchange Commission, and the Internal Revenue Service) to change the accounting guidance so that leases would be recognized as assets and liabilities instead of honorable mentions in quarterly filings. Both FASB and International Accounting Standards Board (IASB) [i] have decided that allowing Tenants to keep certain assets off their balance sheets has created too large of a “blind spot” in the system. The 2016 update to FASB’s Accounting Standards Codification (ASC) Topic 842 reflects the input FASB received during more than six years of work and numerous outreach sessions to gather feedback from key stakeholders prior to its finalization last February. The new guidance mostly affects accounting for Tenants in leasing transactions. The most significant change in the new standard will now require organizations with operating leases with terms of more than 12 months to recognize assets and liabilities on their balance sheets. The objective of the new standards is to increase transparency and comparability among businesses. The new rules will change how businesses calculate their value and will have an impact on their real estate management, financial planning, budgeting and forecasting systems, as well as tax planning. So What Is the Impact on Me? Two Words: Balance Sheet. Previously, the recognition, measurement, and presentation of a lease’s expenses and cash flows depended on its classification as a capital or finance lease (such as equipment), or an operating lease (such as office space). But unlike current U.S. Generally Accepted Accounting Principles (GAAP), which requires only capital leases to be recognized on the balance sheet, the new standard requires virtually all leases to be placed onto the balance sheet. Under the new guidelines, most leases currently considered capital leases will be known as Type A leases, while most leases that are categorized as operating leases will be known as Type B leases. No longer able to structure lease agreements to achieve off-balance-sheet reporting, companies will have to monitor the effect of this change on their finance ratios and related loan covenants, among other things. Recognize a right-of-use asset and a lease liability, initially measured at the present value of the lease payment (with some adjustments), in the statement of financial position. The good news is that even though the lease value is on the balance sheet, it continues to be treated separately than a finance lease and will remain an operating activity. The IASB differed their treatment by classifying all leases as finance leases, thus removing the difference between operating and finance leases previously reported. Is it Going to Affect Your Core Business? Do You Borrow Money or Have Investors? The calculations of many of the key ratios governing bank covenants, such as debt-to-equity (D/E) and return on assets (ROA) may shift for some companies. The new standard will increase a company’s total assets and liabilities in most cases without any related change to a company’s equity. These additions may negatively impact certain financial performance measures, including computation of tangible net worth and various metrics related to a company’s total liabilities. It could give investors the impression that a company is less efficient in its deployment of capital than they previously thought. It will not significantly impact a company’s reported net income over the term of a lease arrangement. Lease payments under operating leases, which are currently deducted to calculate net income, will continue to be reported as a lease expense, but will straight line over the life of the lease instead of expensing the amount that is actually paid each month. As such, the new standards will negatively impact net income in the early years of a lease, when the straight line expense exceeds the historically lower stated lease amount, and positively impact net income in the later years of a lease, when the straight-line expense is lower than the historically higher stated lease amount. Many debt covenants related to cash flows (such as tangible net worth requirements, D/E ratios) are likely to be impacted by having additional leases recorded on the balance sheet. The impact of this new (2016) lease standard on a company’s compliance with debt covenants will require careful evaluation of existing debt agreements and, possibly, modification of those agreements. The risk of debt covenant violations may depend in part on how various debt agreements define and limit indebtedness, as well as on whether the debt agreements use “frozen GAAP” covenants. If it’s determined that debt covenants have been violated, the borrower would be required to obtain a waiver for breaking covenant and to re-document the loan request. Both actions would involve fees. FASB found through its investor outreach efforts that credit rating agencies, such as Moody’s, along with many bank lenders, credit analysts and more sophisticated investors were already estimating lease obligations (previously found listed in the footnotes) and adding them in their analysis to entities’ balance sheets. However, how these same evaluators treat outliers in the market (heavy lease liability or light right of use holders) still remains to be determined. Lease Term. The longer the lease term, the greater the up-front future lease payment liability a Tenant must record on their balance sheet. This must be weighed against accessibility to capital resources to fund improvements typically only given to Tenants in long-term obligations. Operating Expenses. The new Rules will require a Tenant to record only the present value of future lease payments such as fixed rent during the initial term of the lease. As a result, Tenants will want to reduce the liability reported on their balance sheets by separating the non-reportable future variable payments (such as taxes, insurance, and CAM expenses) separately from fixed payments. Triple net leasing or a simple cost segregation within the Lease Agreement are two options for mitigating the Balance Sheet impact at no additional charge. Escalations. When measuring future cash flows, fixed escalations, escalations tied to a benchmark and escalations tied to the greater of two numbers are all counted in the lease liability calculation. But escalations which are the lesser of two numbers are not. The way escalations are documented in the Lease may provide a round down or round up on the lease liability. Lease accounting will continue to require significant judgments, such as when making estimates related to the lease term, lease payments, and discount rate. Similar to today, the term of the lease will include the non-cancellable lease term plus renewal periods that are reasonably certain of exercise by the Tenant or within the control of the Landlord. Extensive quantitative and qualitative disclosures, including significant judgments made by management, will be required to provide greater insight into the extent of revenue and expense recognized and expected to be recognized from existing contracts. What’s Next? How Long Do We Have? The new lease guidance required by FASB’s ASC 842 Leases guidelines will be effective for public business entities for periods beginning after December 15, 2018 (2019 for calendar-year entities) and a year later for private, non-profit and governmental entities. But 2019 figures will have to be back reported two years, so reporting will begin January of 2017 for public companies and January of 2018 for private, non-profit and government entities. Negotiated leases were not optimized for this new method of accounting. Accountants stand at the ready to help manage these new regulations, but at a cost. Leases managed by even the most sophisticated Accounts Payable departments typically turn around invoices or muddle through Landlord’s presentation of base and subsequent year operating expenses. The new requirements present an opportunity to better manage leases within organizations. Going forward, negotiations of leases must understand the lease liability and right of use impact on financials. And that impact on ratios, debt covenants and investor outlook must be taken into account as leases are crafted. In several instances in our practice, we have been able to negotiate terms within the agreements—details really—that involved no monetary issue, but greatly decreased the lease liability on our Clients’ balance sheet. Accounting changes are here and organizations have until January 1 of 2017 (for public companies) or 2018 (for private, non-profits and governments) to understand how they will be measured in the future and represent those measurements in the best possible light. Organizations that fail to engage service providers who understand these issues may find their metrics out of pace with competitors who do. While the changes may seem inconvenient initially, reexamining and assessing business processes to accommodate the lease accounting changes could result in some unexpected advantages. Better information and controls can help enable better tracking and asset management, avoid redundancies and allow a company to negotiate better lease terms throughout the organization. Like anything, we will figure this out, but the market consistently rewards those who figure it out first. Be that one. [i] It should be noted that IASB and FASB differ on how operating leases will be disclosed and valued on the financial statements. Because domestic American companies typically use FASB standards, that will be the focus of this article. Bramwell, J. “The Wait is Over: FASB Issues New Guidance on Lease Accounting.” Accountingweb. (Feb. 25, 2016). Available online here. For the purpose of this paper and clarity, we will identify Lessees (companies that lease property for their own use) as Tenants and Lessors (companies that allow others to use their property in exchange for money) as Landlords. While we’re using real property as an example, these standards extend to equipment, vehicle and other leasing categories. Katz, D. M. “New FASB Lease Standard Could Inflate Balance Sheets.” CFO.com. (Feb. 25, 2016). Available online here.
. Financial Accounting Standards Board. 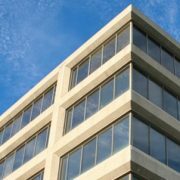 “Why Did the FASB Issue a New Standard on Leases?” fasb.org. FASB, n.d. Accessed 26 July 2016. Available online here. Grassi & Co. “FASB Revises Proposed Lease Accounting Rules in Response to Comment Letters.” Grassi & Co. (July 23, 2014). Available online here. Petta, R. “Five Ways to Prepare for New Lease Accounting Standards.” Construction Executive. (March 11, 2016). Available online here. Katz, D. M. (Feb. 25, 2016). Katz, D. M. “Lease Accounting Changes Could Jar Bank Covenants.” CFO.com (Feb. 11, 2016). Available online here. Plante Moran. “A New Era for Lease Accounting.” Plantemoran.com. (July 18, 2016). Available online here. Barker, J., Farber, T., McKinney, S. and Kolber, T. “Bring It On! FASB’s New Standard Brings Most Leases onto the Balance Sheet”. Deloitte & Touche. (July 12, 2016). Available online here. Katz, D. M. (Feb. 11, 2016). National Association of Realtors. “New Commercial Lease Accounting Rules: How they may affect Owners, Landlords, and Lessees”. Realtor.org. (June 2, 2015). Available online here. National Professional Services Group. 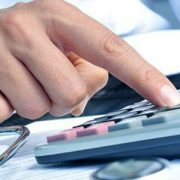 “Lease Accounting: The Long-awaited FASB Standard Has Arrived.” CFOdirect.pwc.com. (Feb 25, 2016). Available online here. Petta, R. (March 11, 2016).